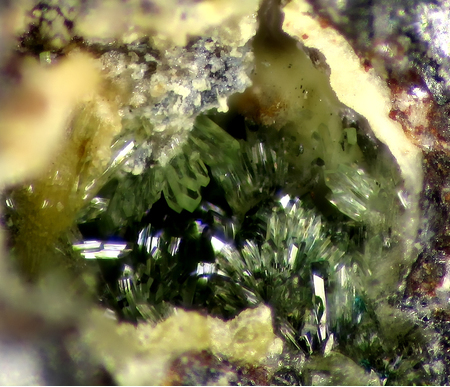 Mandarinoite: Mineral information, data and localities. Formula according to Holzheid et al. (2018). Named in honor of Joseph Anthony Mandarino (1929-2007), American-Canadian mineralogist, former Curator of Mineralogy, Royal Ontario Museum, Toronto, Ontario, for his many outstanding contributions to mineralogy, “in particular the insights he has provided into the relationships of the Gladstone-Dale rule.” He also contributed greatly to the formalization of mineral systematics as Chairman of IMA CNMMN. 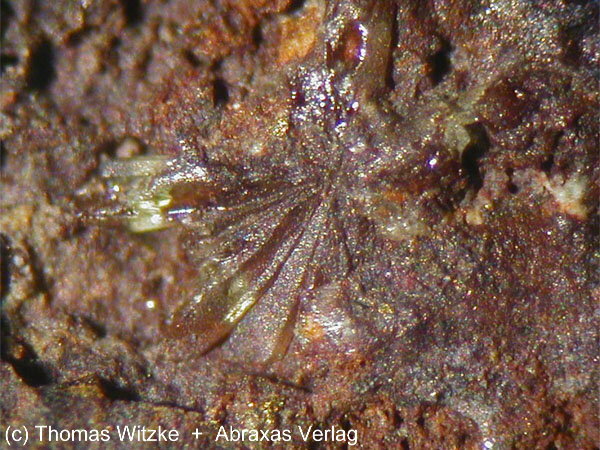 A secondary mineral found in the oxidized zones of selenium- and iron-bearing deposits. Crystals are swordlike, in rosettes and subparallel aggregates. Formed by the oxidation of penroseite and pyrite. Chalcomenite 1 photo of Mandarinoite associated with Chalcomenite on mindat.org. DUNN, P.J., PEACOR, D.R. & STURMAN, B.D. (1978): Mandarinoite, a new ferric-iron selenite from Bolivia. Canadian Mineralogist 16, 605-609. HAWTHORNE, F.C. (1984): The crystal structure of mandarinoite,Fe3+2Se3O9.6H2O. Canadian Mineralogist 22, 475-480. Maxim I. Lelet, Marina V. Charykova, Astrid Holzheid, Brendan Ledwig, Vladimir G. Krivovichev and Evgeny V. Suleimanov (2018): A calorimetric and thermodynamic investigation of the synthetic analogue of mandarinoite, Fe2(SeO3)3·5H2O. Geosciences 8, 391. Elena L. Fokina, Ksenia L. Poroshina, Natalia V. Platonova, Vladislav V. Gurzhiy (2018): Thermal behavior of ferric selenite hydrates (Fe2(SeO3)3·3H2O, Fe2(SeO3)3·5H2O) and the water content in the natural ferric selenite mandarinoite. Chemie der Erde, 78, 228-240. Leverett, P., McKinnon, A.R., Williams, P.A. (2003) Mineralogy of the oxidised zone at the New Cobar orebody. Advances in Regolith. CRC LEME, Bentley, 267-270. Leverett, P., McKinnon, A.R., Sharpe, J.L. and Williams, P.A. 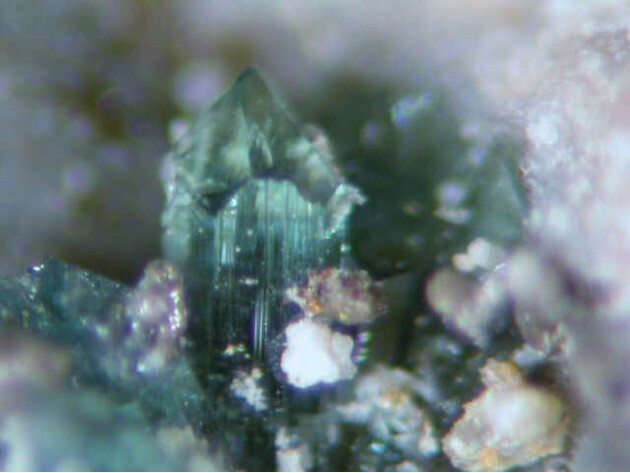 (2005) Secondary minerals from the central Cobar mines. Australian Journal of Mineralogy, 11, 75-82. Dunn, P.J., Peacor, D.R. & Sturman, B.D. (1978) Mandarinoite, a new ferric-iron selenite from Bolivia. Canadian Mineralogist Vol.16, pp.605-609. Hawthorne, F.C. (1984) The crystal structure of mandarinoite, Fe³⁺₂Se₃O₉.6H₂O. 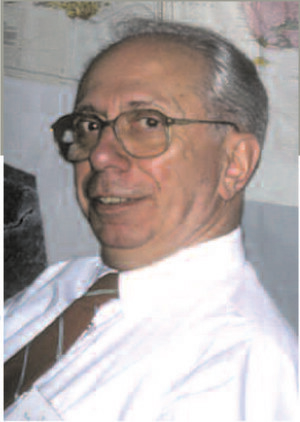 Canadian Mineralogist Vol.22, pp. 475-480. Back, M.E., Grice, J.D., Gault, R.A., Cooper, M.A., Walford, P.C., Mandarino, J.A. (2017) Telluromandarinoite, A New Tellurite Mineral From the El Indio-Tambo, Mining Property, Andes Mountains, Chile. Canadian Mineralogist, 55, 21-28. Zhu Jian-Ming, and Zheng Bao-Shan (2002): Journal of the Graduate School of the Chinese Academy of Sciences 19(2), 219-221; Handong Qian, Zhenghua Zhao, Xiang Zheng, Chengyi Lin, Jiahu Zeng, Xuemei Wu, and Wu Chen (2006): Acta Geologica Sinica 80(11), 1706-1710; Zhu, Jian-ming; Johnson, Thomas M.; Finkelman, Robert B.; Zheng, Bao-shan; Sykorova, Ivana; Pesek, Jiri (2012): The occurrence and origin of selenium minerals in Se-rich stone coals, spoils and their adjacent soils in Yutangba, China. Chemical Geology 330-331, 27-38.